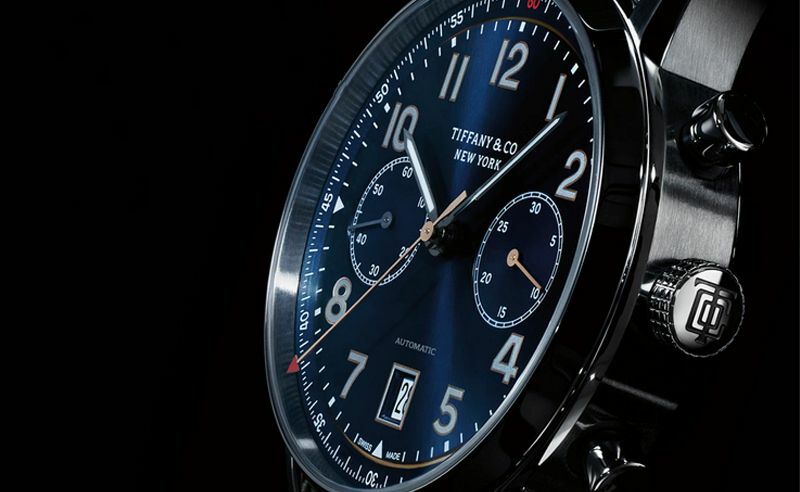 From the Tiffany & Co. CT60 watch collection inspired by its founder, here are the 5 watches that stood out to us for their embodiment of Tiffany's innovative spirit. Tiffany & Co. may be a name synonymous with diamonds and love but quite a surmountable chunk of its history also has to do with watchmaking. From the famed Atlas clock Charles Lewis Tiffany himself mounted onto his store in 1853, to the Tiffany & Co. gold watch presented to US President Franklin D Roosevelt in 1945, watches have played an equally important role in Mr Tiffany’s career as diamonds have. It came as no surprise when the brand announced a special watch collection this year – the CT60 – inspired by its eponymous founder as well as the city where he first opened his doors to a new world of style. Here are 5 watches from the CT60 collection which certainly caught our eyes. Inspired by the very Tiffany & Co. gold watch given to US President Franklin D Roosevelt in 1945, this piece serves as one of the star pieces of the collection with a classic look of white soleil and gold bezel. It comes with a 42-hour power reserve, shock absorption system and sapphire crystal display back and is created in a limited edition of only 60 pieces worldwide. A blue soleil dial stands this piece apart from the rest of the collection while gold poudre numerals tell the time in a classically luxe manner. It features a self-winding mechanical movement encased within a 40mm case, mounted upon matching blue alligator strap. The stainless steel body and white soleil dial makes this watch look unassuming at first glance but look closely and the details are what really make this timepiece pop. Brilliant round diamonds line the entire length of the bezel for a quiet elegance matched with yellow detailing that keeps things from looking too white-washed. The beauty of this watch is in the little things that stand out in a seemingly conventional watch. Its stainless steel case is made to seem exceptionally shiny with a gray soleil dial. Its numbers are also made of fine gold poudre but it is the second hand that stands out in this piece – it features a special red pointer that vividly lets you track 60 seconds, a duration also known as the New York Minute in the House of Tiffany. Embodying the saying ‘less is more’, simplicity truly shines with this chronograph in stainless steel. White soleil dial is made extra special gold poudre numerals. Adding a subtle glamour are refined yellow accents on the dial for a pop of colour as well as a red second hand that matches that 60th second. From the East West collection, this watch tells the time with numerals (also printed in gold poudre, of course) that are displayed parallel to the direction of one's arm for ease of reading. This clever way of time-telling and unconventional square shape are inspired by the original purse watch old by Tiffany in the 1940's. View the full CT60 and East West collections at the official website here. More new releases from Tiffany & Co.: Its T collection is perfection to the T.